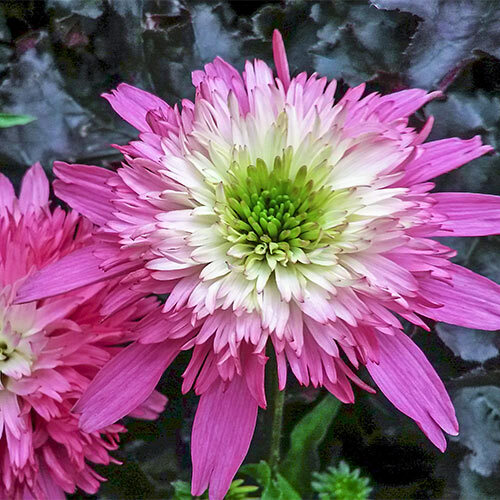 Short, sturdy stems hold gorgeous pink, double blooms—and don't flop. 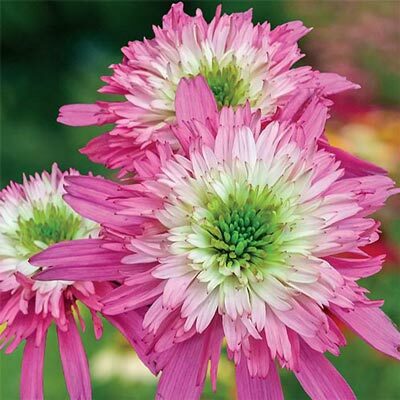 Like other Echinacea, this compact variety is easy-care and drought tolerant. A miniature version of 'Southern Belle,' it's a great choice for borders and containers. Long-lived perennial attracts butterflies and pollinators. Soak roots in water before plantin. Dig a hole deep enough to accommodate the roots without bending them. Plant with the eyes (sprouts) just below the soil. Water well after planting. Average to low water needs. Do not overwater.